Christmas can be hard on the bank balance so I like nothing better than exploring one of my most-loved (and local!) cities at this time of year – Glasgow! So I thought I’d note down some of my favourite places to go and things to do, whether rediscovering the city for myself or introducing it to new people. I can never go into Glasgow without wanting to check out something along the City Centre Mural Trail. The art is just incredible and there aren’t many places you can find marionettes, hand shadow puppets and a floating taxi by turning a street corner. You’ll even find Glasgow’s own panda down Gordon Lane (take that Edinburgh! )Check out Strathclyde University’s ‘Wonderwall’ if you can only make it to one place. Covering over 1000 square metres, it’s the UK’s largest mural so there’ll definitely be something for you! Once you’re in town, you can check out the shops on the ‘golden z’ from Argyle Street to Sauchiehall Street via Buchanan Street. Glasgow has been said to be the best shopping city in the UK outside of London so if you still have some Christmas shopping to do it’s the place to do it! Grab something to eat at one of the dozens (hundreds?!) of places to eat in the city centre. Some of my personal favourites are Mono or Stereo for a quick bite (great vegan food too), Obsession of India near the Trongate, Qua Italian in the Merchant City, or Café Gandolfi if I’m really splashing out! Check out their upstairs bar if you just fancy a quick drink. After, take a leisurely stroll back into town along the Clyde. This is absolutely one of my favourite things to do in Glasgow and a great way to see loads of the landmarks on the city, from the Hydro and Armadillo, to the BBC building and Finnieston Crane. A great way to spend an afternoon seeing the city. If you don’t fancy heading out of town, check out the Sharmanka Kinetic Theatre on the Trongate instead. Be transported into a different world with amazing machines made of carved figures and old scraps which come alive to shows of music and light – it’s like nothing I’ve ever seen. With shows every day I highly recommend checking out one of my favourite Glasgow hidden gems. Sunday morning I’d head to the west end and near Kelvingrove Park, the perfect place for a Sunday morning stroll. Being ‘student central’ the area has loads of great places to stop and grab brunch. Kelvingrove Café and Cafezique are just two of my favourites. 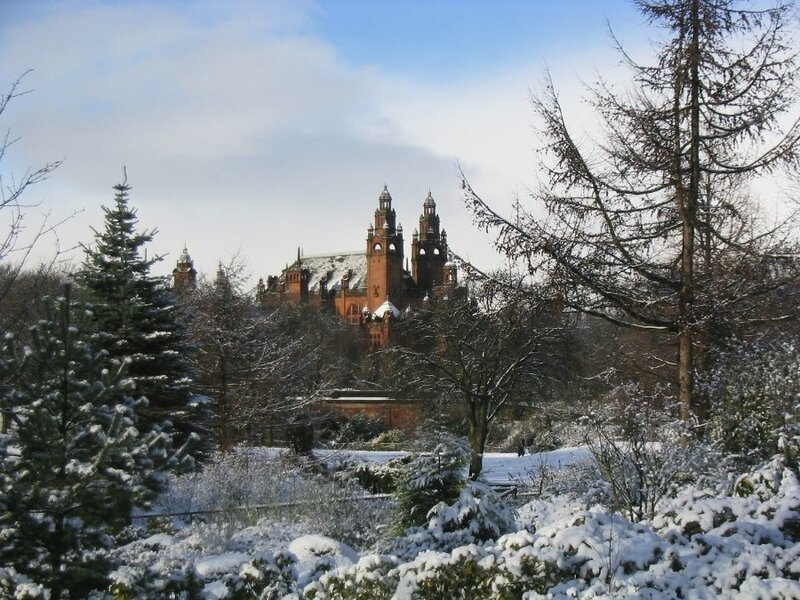 After fuelling up, head to Kelvingrove Art Gallery and Museum. It has over 22 galleries, including great examples of Charles Rennie Mackintosh’s work and one of Salvador Dali’s paintings, ‘Christ of St John of the Cross’. A couple of my favourite things are Sir Roger the Asian Elephant, who has been on display since 1902, or the museum’s daily organ recitals, which are free to attend and happen at 3pm on Sundays (1pm every other day). Been to the Kelvingrove? Head over the road to Kelvin Hall, which reopened in September 2016 and holds special displays from Glasgow Museums and the National Library of Scotland’s Moving Image Archive, where you can wee archive films and videos from over 100 years of Scottish history. Head out the park towards University Avenue. While you’re walking past, duck into Glasgow Uni to see the university’s amazing architecture (particularly the Cloisters, the perfect place for a snap!). It’s often been said that the university is the inspiration for Hogwarts – why not check it out for yourself? Spend the evening around the Byres Road area, a great place to get a bite to eat (top tip is grabbing a slice at Little Italy, you won’t regret it!). Then head down Ashton Lane to visit one of its many pubs – you could even catch a film at the Grosvenor. Another great place to visit for a drink is Oran Mor – there’s often live music on and you’ll be able to see the amazing ceiling mural by Alasdair Gray, the Glasgow-born writer and artist. That’s my top ideas for a 48 hour staycation in Glasgow. What would be on your list?